The seat recliner control on my drivers seat is failing and the seat back won't stay up. 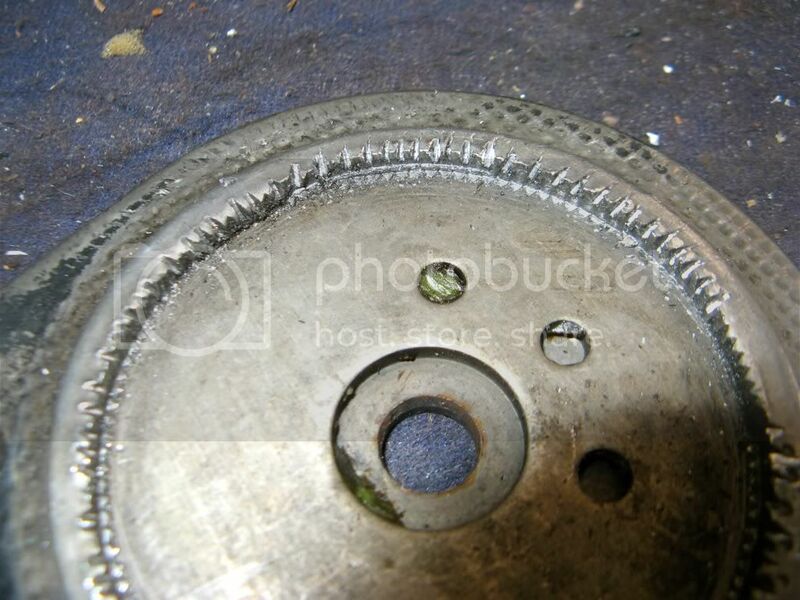 The teeth on the internal locking ring are worn. "Moving" part on the left attaches to the seat back, "fixed" part on the right attaches to the seat base. 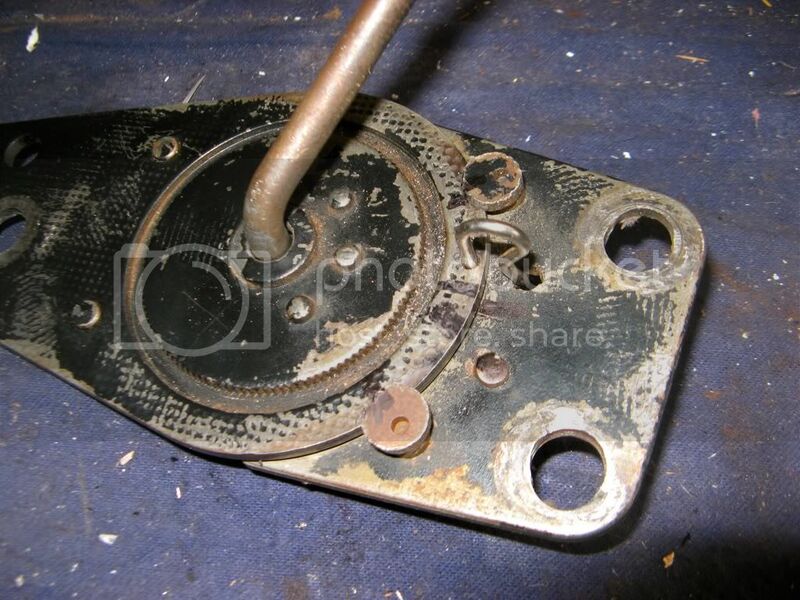 The adjuster comprises 2 parts, the "moving" part which is fixed to the back of the seat, and the "fixed" part which is attached to the seat base and on which the adjusting arm is attached (it goes through the centre of the "moving" part). 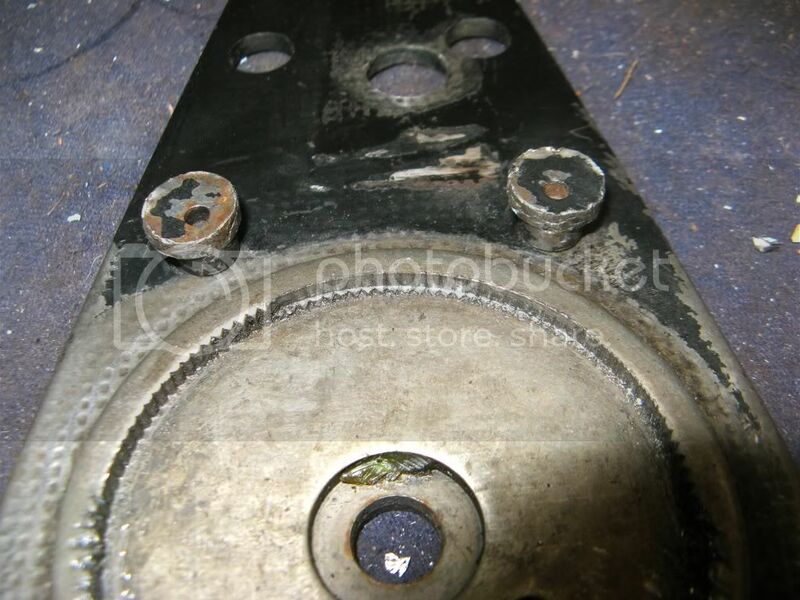 On the fixed part of the adjuster there are three internal cams with toothed edges which are held by a spring loaded triangular plate against fine teeth on a ring on the moving part, but those teeth have worn flat in places so the seat gives way if I lean backwards. The lever releases the spring allowing the cams to disengage with the ring and the seat back can then move forwards or backwards. 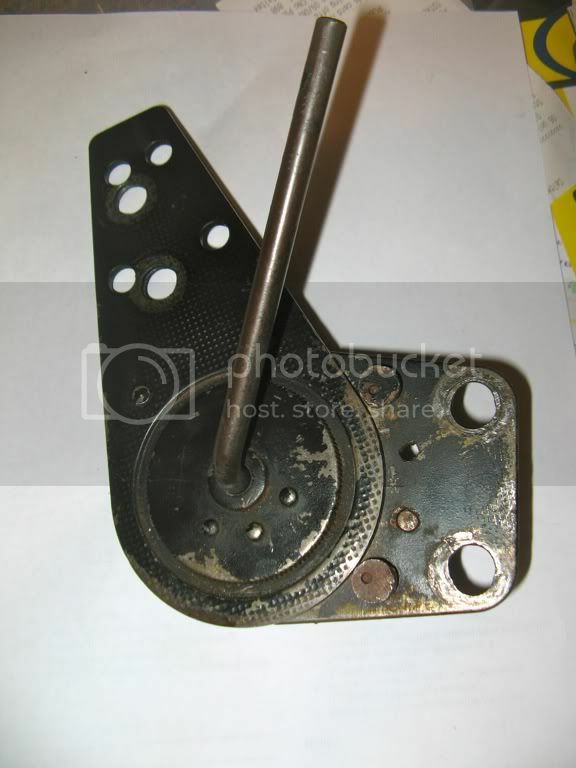 The main spring, which causes the seat back to fold forward when released, is mounted on the opposite side of the seat and is completed independent from the adjuster. I previously turned the cams over so the less worn edge was in use and that worked fine several years but now it's broken again. I've effected a temporary fix to the reclining mechanism. The mechanism can be disassembled by turning the 4 eccentric locking heads using vice grips until the 2 sections come apart. 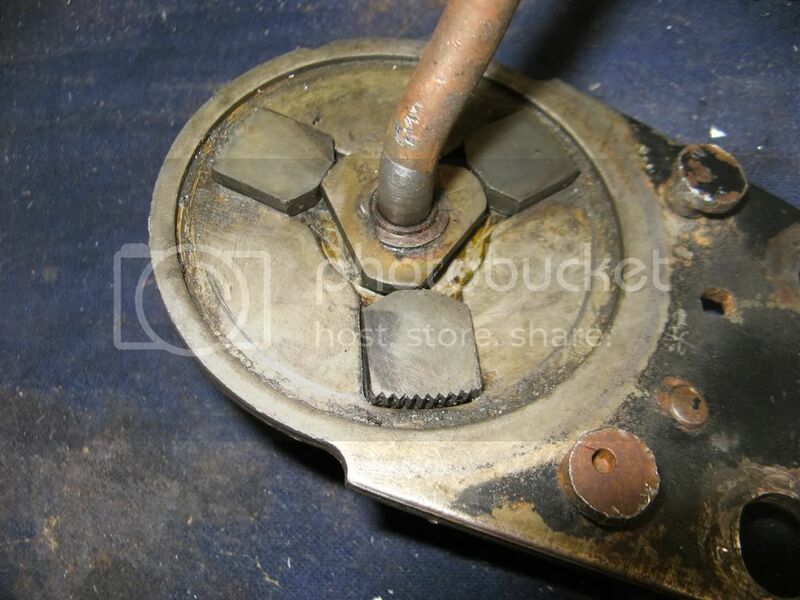 The adjuster arm will need to be straightened a small amount so that it can slip through the moving part (clamp the mechanism in a vice, slip a piece of pipe over the arm and lever gently). I reconstituted the ring teeth using a hammer and cold chisel to give the cam teeth something to bite on. I fitted shims under the cams to allow them to act on a hitherto unused part of the ring teeth. (Plastic milk cartons are a good source of shim material). I drilled the rings and fitted an "R" pin to lock the seat in position. Actually this was more difficult than anticipated as the outer (moving) ring is peen-hardened and took a lot of drilling. I also drilled a few extra holes on the inner (fixed) ring, which is softer, to accommodate other seat angles. The extra holes only need to be a few mm apart so the same return hole for the "R" pin clip can be used. I slipped a large washer (not shown) on to the "R" pin to provide something meaty to pull on and when the seat needs to be tilted forwards, it's very quick to pull out the pin, just like a grenade. 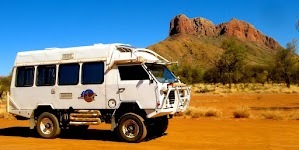 The "R" pin is a belt and braces solution which will prevent a sudden collapse occurring on an outback trip, but even without it you can usually jam something behind the seat, as we did when the problem first happened (on the west coast of Tassie). 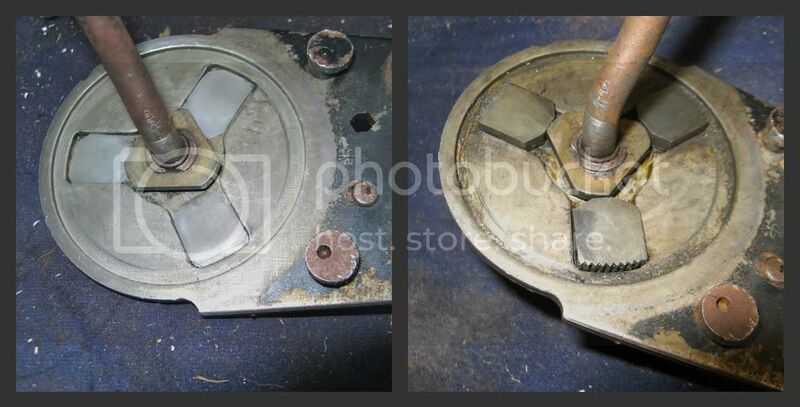 Of course this fix doesn't take the place of a properly functioning mechanism but it works fine for the time being. I suspect the damage was caused in the 1/2 million km that our Oka had done before we bought it, especially if the lever wasn't fully released before reclining the seat, allowing the teeth to grind over each other. It first failed several years ago and we do use the mechanisms quite often to provide access behind the seat but without abusing them. Dirt build up probably doesn't help and once the teeth don't mesh fully, they start slipping, which will only escalate the wear problem.